Horology is likely one of the deepest rabbit-holes a person can go down, and this can seem particularly daunting when you’re just starting off. If you were to ask a layman about what a Maurice Lacroix was they’d likely have no idea, so just imagine asking them about a more vintage-oriented brand like Waltham. That’s why the internet is often the first and last port of call when it comes to learning about watchmaking, at least for the vast majority of people. With this in mind, one would likely have thought that the internet would be better oriented for those just starting on their journey, but alas, this is rarely the case. As the old saying goes; opinions are very much like a particular bodily orifice, everyone’s got one, and this can unfortunately get in the way when you are looking to learn some objective truths about this rather extensive, and likely expensive, lifestyle and hobby. A quick glance online, especially on bidding sites like EBay, will likely lead you to conclude that the market is a highly competitive one, and that you’re not the only one looking for a steal. Unfortunately, as a beginner, there are a lot of people out there with a lot more knowledge than yourself, and these people will be the guys you’re bidding against in a lot of cases. That’s why so many of us turn to look outside of the internet when it comes to buying highly affordable vintage watches (<$100). Quite often, it seems like you’re left to make your own mistakes when you start collecting, but this doesn’t have to be the case. There are certain mistakes or mishaps that everyone comes across on this journey, so rather than keeping these to myself, I thought I’d share a few with you here today. So, here are five things to avoid (or keep in mind) when you’re buying watches in person. 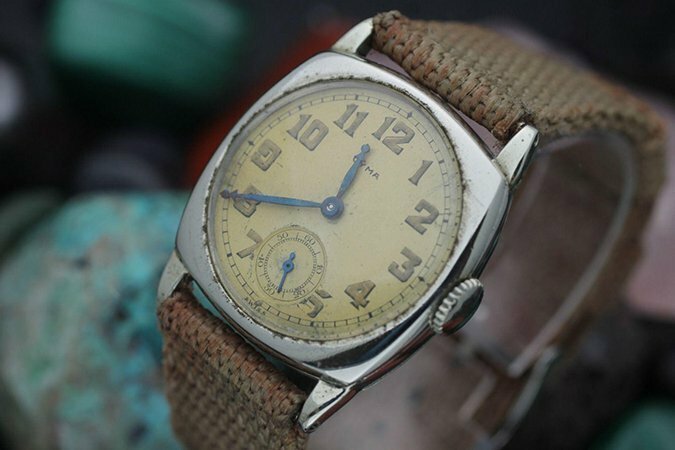 When you first go to a vintage market, yard sale, or flea market, you’ll quickly discover, depending on your location, that there’ll likely not be a huge number of wristwatches for sale. You’ll begin to scour every surface around for anything that even remotely resembles a small wrist-mounted clock, or perhaps even just a small circular nugget of metal. It becomes very easy to lose yourself in this, which is why it’s so important to keep this piece of advice in mind; do not feel like you have to buy the first thing you come across. 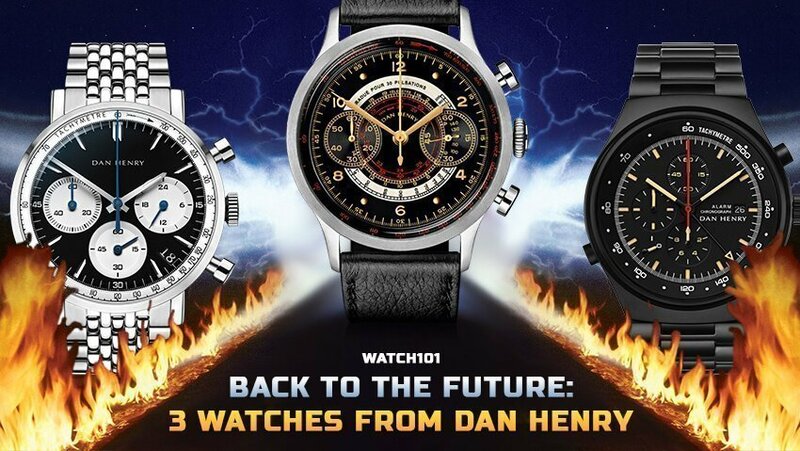 Henry’s Law states (yes, I did name a fictional law after myself) that the first few watches you’ll come across will either be a woman’s watch or an old quartz fashion watch, maybe even both. Unless you know that your wrist will accommodate a woman’s watch nicely, or that the watch in question is worth something (though I’d never rely on this knowledge until you’re more of a veteran), a vintage women’s watch isn’t for you. 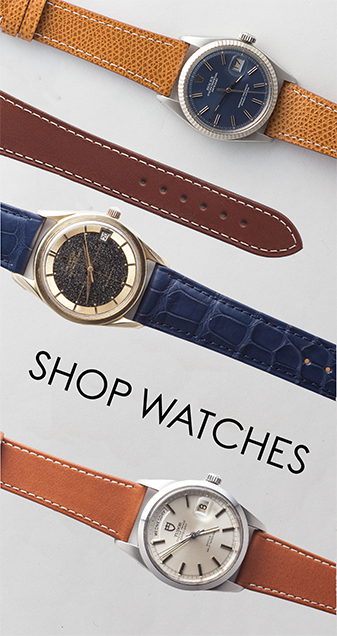 Same thing for old fashion watches; here in the UK, our vintage market is dominated by the British version of Sekonda as well as no-name 1980s and 1970s fashion brands; none of these are worth buying unless there’s a particular design you like, and even then be aware that the product you are purchasing was made on the cheap several decades ago. Of course, if the first watch you come across is marked ‘Jaeger’ or ‘Longines’, and is surrounded by teddy bears, garden hoses, and other junk from someone’s garage, rather than other expensive antique pieces, hey, maybe give it a closer look. You never know, you may have just found something. Probably not, but it’s almost always worth an inspection. Temper your expectations. 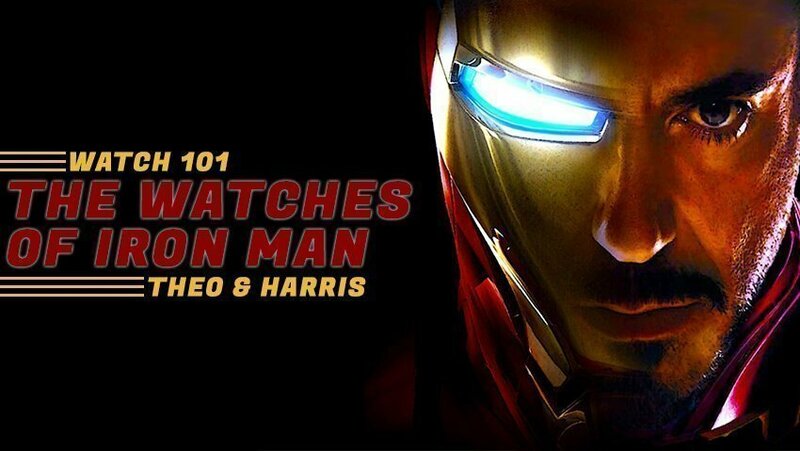 That should be the first rule of watch collecting. It doesn’t have to mean lowering your expectations, but it certainly means that your expectations should be representative of the most likely outcome. Keep a cool head; it’ll certainly help you in the long run. Everyone dreams of one day going to a flea market or yard sale and finding a box of Pateks and Rolexes (feel free to debate the plural of Rolex over on a forum somewhere, I’ve already taken my side) being sold by an old man with no clue of their worth. Of course, I’m not entirely sure how any non-sociopathic person would deal with being in that situation if it were to arise, but it doesn’t really matter, does it? Why’s that? Because it won’t happen. It’s a tough world out there, and these sorts of things don’t happen outside of the confines of novels and film. You’d be lucky to find anything half decent in regards to perceived worth or historical significance, so your best bet is to compromise and find something that both captures your eye for design and your sense of quality. If someone behind a stall is attempting to sell you an ‘original, one of a kind’ something, don’t fall for it unless you have an informed reason to believe them. While this isn’t on the subject of watches, a woman recently attempted to sell my dad the “second ever Pentax” camera; thankfully, my dad knew better, a lot better, but sometimes the lie can be a lot more subtle. If the seller appears to have a lot of information about the item in question, makes references to the object’s condition (despite you being able to see it, or maybe even holding it in your hands), and presents a price that seems to completely contradict everything you knew about the object, avoid, avoid, avoid. This doesn’t necessarily apply to watch stores, but it certainly does to pop-up stalls at events. This may seem easy, but in practice it has the potential to be really hard. 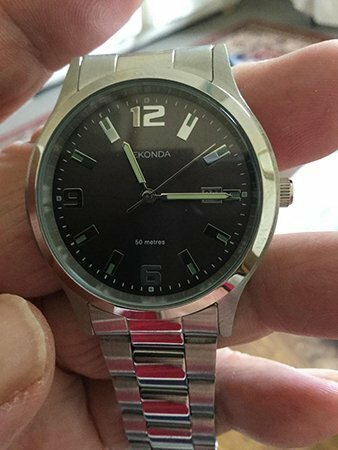 Fakes are getting good, even fakes of vintage watches. Often, unless you already have a lot of knowledge about the watch, the only way to tell the difference between a good fake and the real deal is to compare the two side-by-side, and even then the process of differentiation can be a hard one. This process can be even harder when it’s your current and future finances at stake. 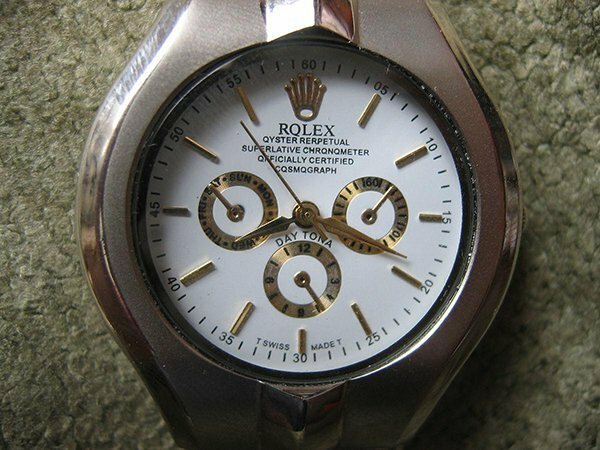 Imagine this; you come across what appears to be a gold Rolex Datejust Ref. 1601. It’s on sale, at someone’s stall, behind a load of random items, for a little over $40. It could be legit, it could also be a fake. It could be a $6000 watch, but it could also be a dud. You already know the risk involved; Rolexes are, by far, the most faked watch brand in the world, probably the most faked luxury brand, watch or not, that has ever existed, period. It’s sat right there, yours for the taking. Ten minutes from now, and it could be gone; lost into the ethers of another savvy buyer’s pockets. What do you do? If it’s real, it’s basically just a giant heap of money sat on the table that could completely change your life. What are the chances of that?! Don’t buy into it. If it’s worth the risk just to find out, then feel free to pick it up, though I’d certainly recommend haggling first. Unfortunately though, it’s probably just as fake as any other cheap gold ‘Rolex’ you’d see at a market stand. The rules start to a change a little bit when it comes to more obscure brands, and by that we are talking obscure, obscure; not vintage Seiko obscure, but C.H. Meylan obscure. The weirder the better, but still keep your wits about you. If you do want a real Ref. 1601 that you can guarantee the validity of, make sure to keep your eye on the T&H watch shop. Watches aren’t always a great investment; if you can somehow find a 100% legitimate Seiko Bullhead for less than market price, then good for you, but even then there are risks involved; tastes come and go, especially within niche financial bubbles. At the moment, 60s and 70s chronographs, especially those from Heuer and Seiko, are very ‘in’; but who can say what the market will be like in a couple of years’ time? The vintage market will still be around, but it might not be the funky vintage chronographs that are at the top, at least not financially speaking. Unless you are dead set on buying and selling watches, you should always try to buy the stuff you are drawn towards on an emotional level; whether that’s something timeless or something that’s part of an aesthetic resurgence, buy what *you* like, not just what the investors are telling you to buy. 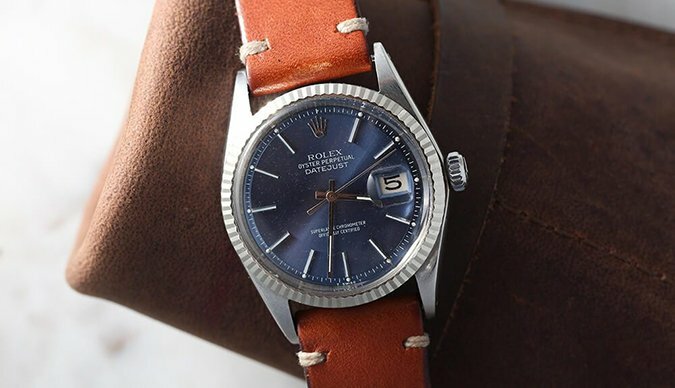 Additionally, you’ll likely be buying a watch without its box and papers; often crucial elements that collectors will want if you intend to sell the watch on later. I can’t say you won’t be judged for your taste in watches, but at least you can rest easy knowing that your purchase was for you, not for a market that may or may not exist in a couple of weeks’ time. Life’s short, enjoy it a little more. With that, it’s time to wrap up. What tips do you have for people looking to buy vintage watches outside of the internet? Leave your thoughts in the comments on Facebook, and please, keep it classy, watchfam! My name is Henry Kincaid. I write about watches, take photos of just about anything, and I’m being trained to design (bits of) buildings as an interior architecture student. I’ve grown up surrounded by great design and people who appreciate it, and I like to think that some of this passion has rubbed off on myself.